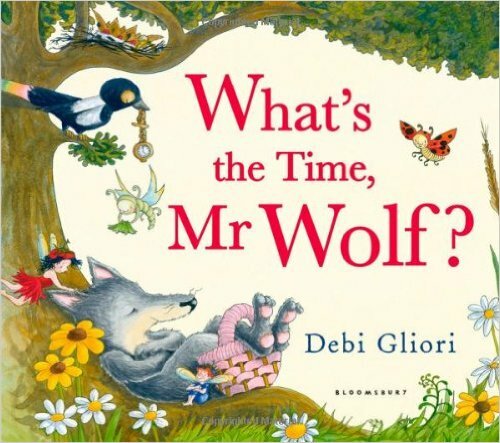 ​Accompany Mr Wolf as he goes about his daily routine from breakfast to bedtime - and get to know the real Mr Wolf! Little ones will enjoy recognising familiar faces from a plethora of nursery rhymes, including Little Red Riding Hood (masquerading as the post girl), three cheeky little pigs (who make prank calls), a cat who's a dab hand at the fiddle, plus four and twenty blackbirds . . .An enchantingly original story inspired by the well-known playground tag game, this is also perfect for practising telling the time. The stunning artwork reveals something new with every reading and the many fabulous details will keep you turning the pages again and again.